Now that we knew we wanted one of these horribly cute off-road vehicles, I started to contact the various sellers to ask questions about their state1 and it quickly appear that you could classify the various available models in three categories based on their prices2. In the end we found a weird one, owned by a hunter. It was originally a soft top model, but the previous owner had imported from Sweden a hard top and installed it on the Norwegian vehicle. 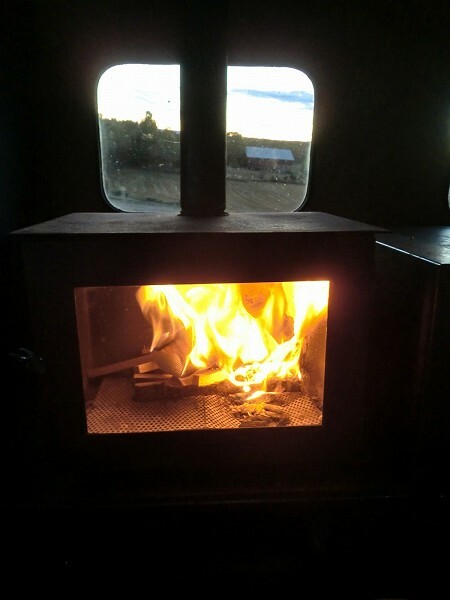 What made it special is that it has many side windows and came with a wood burning stove inside ! You never know when you are going to be blocked in the middle of nowhere in a snow storm, just go out, cut some wood, and there you go. I’m sorry, there’s been a problem. I was going up a hill and it suddenly stopped, I’m being towed back home right now, I will try to fix it, probably an electric problem, call you later. Since we had the tickets, our afternoon was already lost and we wanted to see what they looked like, we decided to take the train anyway and go look at it. 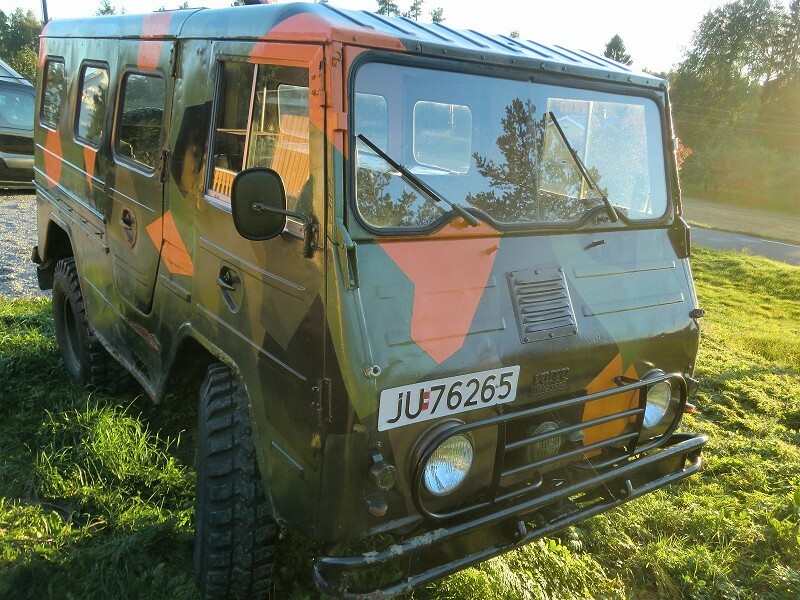 Long story short, we saw it, found it cool despite the rust, missing handles, broken spark plug head and cables, and negotiated a price reduction plus having it delivered to our place in Oslo. We made a bet that the failure was probably stupid, like some broken electric cable or flimsy connection, perhaps even a blown fuse. So there we go, with a non working Volvo 4x4 on the parking in front of the building. Now time to see if we are just stupid computer geeks or if we can get this thing running!